In a major breakthrough, Guwahati City Police managed to nab a child lifter and also rescued the minor in the wee hours of Sunday. The minor was kidnapped on Saturday night from Bamunimaidam area of Guwahati. 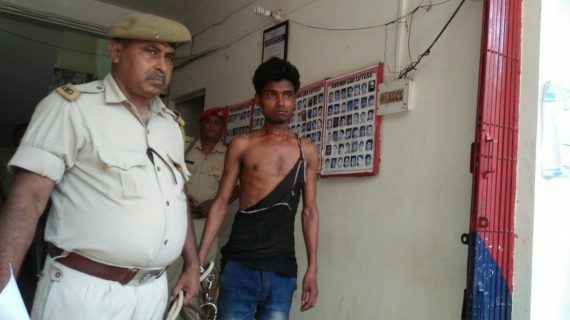 The accused identified as Mumtaz Ali kidnapped the two-year-old minor from Bhaskar Nagar area of Bamunimaidam late Saturday night. The family members of the kidnapped child informed the Chandmari police station at around 2:30 am in the wee hours of Sunday. The Chandmari police station immediately alerted all the police stations across Guwahati and swung into action. Later Chandmari police along with police personnel from Jalukbari police station managed to nab the culprit from near the Kamakhya railway station. Based on the confession of the arrested kidnapper, Mumtaz Ali, police also rescued the child from a forested area near the Bamunimaidam bihu field at around 9:30 am on Sunday morning. Presently, the child is doing fine and has no health issues, informed the police. The accused Mumtaz Ali had kidnapped the child from its mother’s lap when they were sleeping at their residence in Bhaskar Nagar of Bamunimaidam area of the city at around 2 am. Later, the kidnapper also called up the father of the kidnapped child, Ranjit Rawat asking for a random of Rs 10 lakhs. However, when Rawat expressed his inability to pay the ransom money, the kidnapper abandoned the child and fled from the scene. All these information were revealed during intensive grilling of the arrested kidnapper. According to police, the nabbed kidnapper hails from Bihar and is a rickshaw puller by profession in Guwahati. Meanwhile, the arrested kidnapper Mumtaz is lodged in Chandmari police station.